Scott Sommerdorf | The Salt Lake Tribune Yellow Cab employee Elbia Rojas will walk a customer out to the cab they have ordered for them one of the two new Yellow Cab booths inside the terminal at Salt Lake City International Airport, Friday, August 19, 2016. 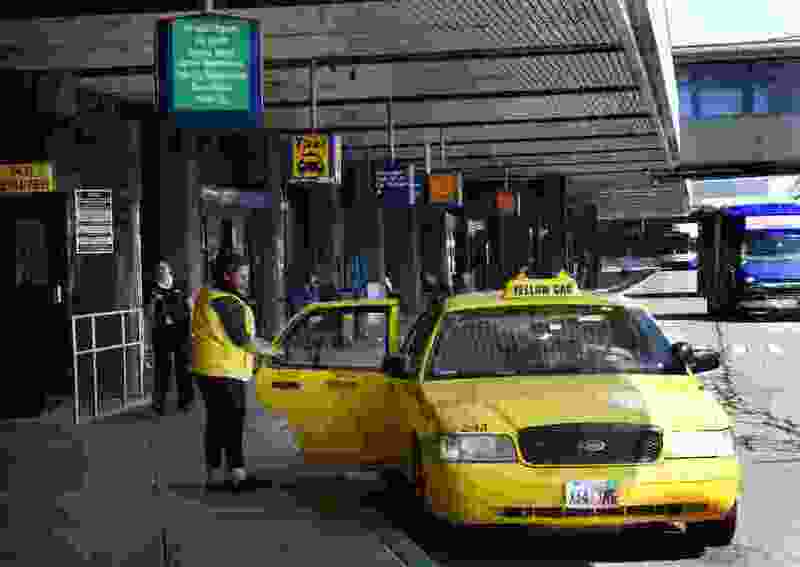 Yellow, Ute and City cabs are no longer using the city's taxi stands at the airport. 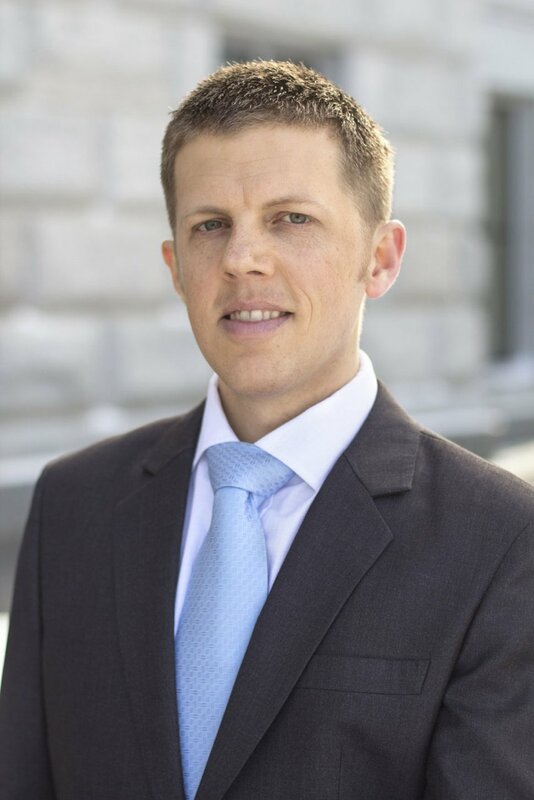 They say they have essentially been crowded out by the 400-plus other cab companies that appeared after deregulation there, and it isn't worth their time to be in the long queues. The state spends a significant amount of money advertising its many attractions to would-be tourists, inviting them to visit Utah. Yet, for some unfortunate tourists, their first “Utah experience” is a meeting with a Salt Lake City police officer. This is because these tourists are some of the thousands of Utahns using Turo, a peer-to-peer car sharing app, essentially renting a vehicle directly from a local resident. And the police, with the airport’s assistance, are currently targeting and criminally charging these individuals. Utah is one of the first states to apply criminal charges to these transactions; those involved are being charged with misdemeanors for simply conducting “unauthorized business at the airport” — even though they are merely picking someone up at curbside, just like a taxi, Uber or a friend. Salt Lake City’s ordinances say — in two separate laws — that it’s a crime to “use the airport, or any portion thereof, for any revenue producing commercial activity” without obtaining a permit and paying a fee. And while this makes sense for businesses looking to set up shop on airport property, it shouldn’t apply to people spending mere seconds passing through. Of course, those using peer-to-peer apps like Turo to share their vehicles aren’t aware of these legal prohibitions, nor is the city or the airport informing anyone about how they are applying this law. Instead, they are being criminally prosecuted. But these ordinances are worrisome for reasons beyond car sharing. Written as broadly as they currently are, anyone using their phone or laptop to do work while passing through the airport is a de facto criminal, guilty of two misdemeanors. And the arbitrary and selectively-targeted nature of the city’s enforcement means it is empowered to punish who it pleases, sparing the rest of us. It is no surprise, of course, that the selectively-chosen targets of the city’s enforcement includes Turo users. This is because of pure protectionism — the peer-to-peer car sharing business model threatens to disrupt the gravy train upon which the airport heavily relies. Specifically, the airport receives nearly $25 million per year from traditional rental car companies in commissions and rent — over a quarter of its non-airline revenue! Competition against this business model means the airport’s own business model is destabilized. That may be a legitimate concern to consider, but it’s certainly no reason to criminalize Utahns, restrict competition and have Utah’s welcome mat to tourists come in the form of a police encounter at curbside. Even more fundamentally disturbing is that the airport — the very entity with a financial interest in protecting car rental companies (and its own revenue stream) from competition — also has the police power and the discretion to prosecute those who are doing the competing. Part of the problem lies in the fact that government agencies are treating peer-to-peer apps as if they were the actual service provider. The airport, for example, considers Turo a rental car company — even though the company owns no cars. This is akin to treating Airbnb as though it were an actual hotel. That statement is tongue-in-cheek at best, because everyone knows this isn’t really about safety. People sharing their cars around the state are doing so safely, without an “assurance” from a government bureaucrat. Car sharing doesn’t somehow become dangerous simply because it is on airport property. Libertas Institute has received several police body camera videos highlighting these situations in which a Turo user is met with a law enforcement encounter, a fine, and then criminal punishment. These transactions, if done merely a mile away, would be perfectly legal. The law is clearly not intuitive, and thus arbitrary. It unfairly punishes completely harmless behavior and turns tourists into criminal accomplices. Utah needs a better welcome mat than a policeman writing a ticket. Let’s make sure that peer-to-peer services aren’t criminalized, and that the state’s aspirations for being business friendly aren’t tainted by the protectionist actions of the airport, which is clearly concerned more with protecting its revenue stream than public safety. Connor Boyack is president of Libertas Institute, a free market think tank, and author of 15 books.